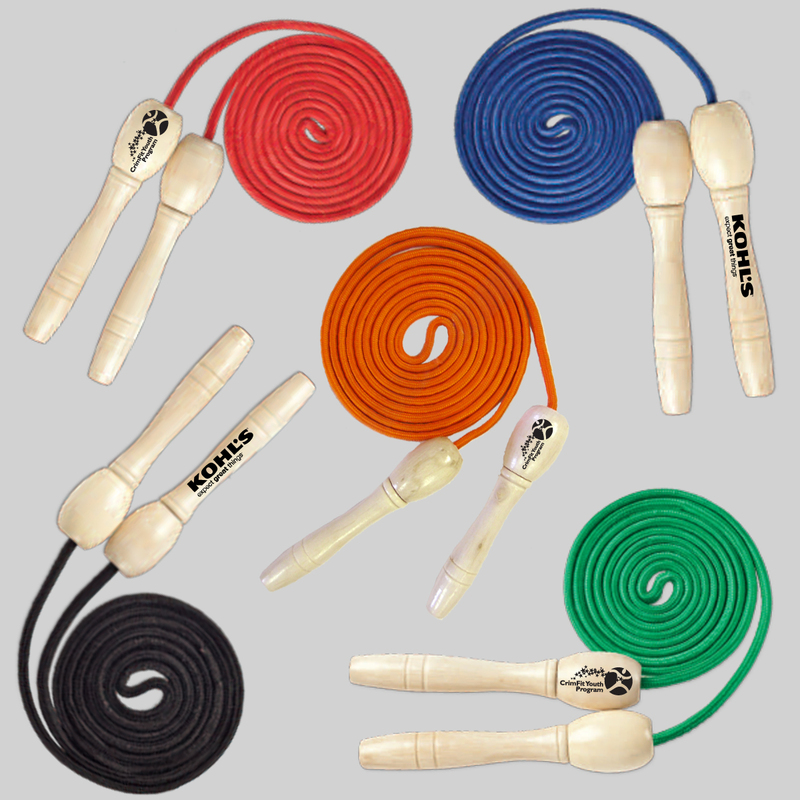 Wooden Handle Jump Rope In Fashionable Solid Colors. Made From 100% Natural Wood. Rope is Made From Fashionable Colorful Polyester. Perfect For Sports & Health Events, Fitness Centers, Hospital & Health Promotions, Children's Events And Other Events. Case Pack=100 Pieces Case Weight=39 Lbs *** Case Size Approximately 19" x 14" x 13"